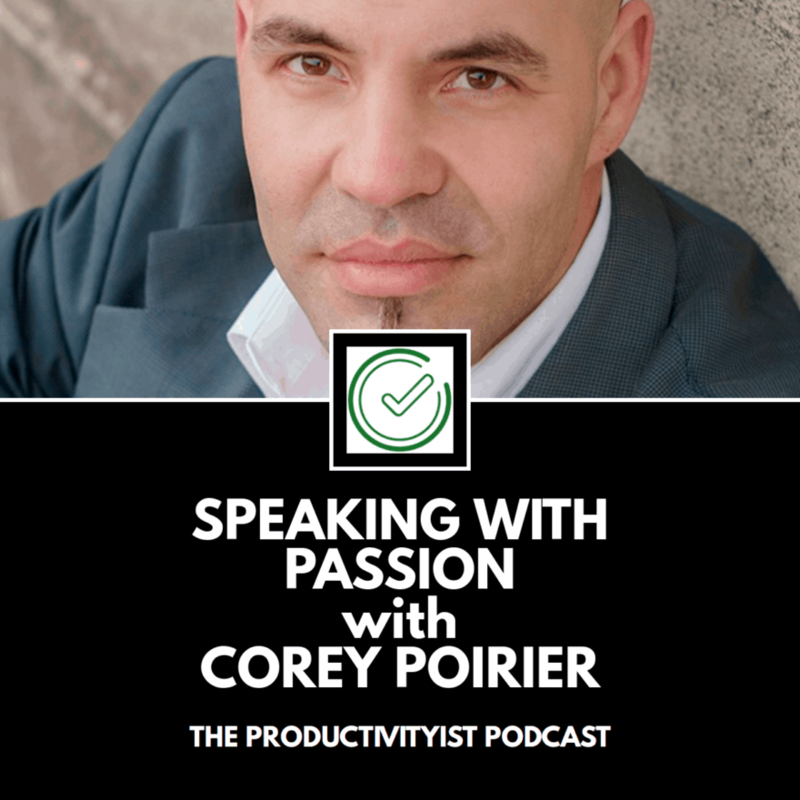 A passionate speaker who wants to share with people his craft, Corey is behind the Passion Cure and The Speaking Program. It is through these avenues that he reaches out to people, coach those who are interested in developing their communication skills, and feature those who have been successful in their life’s passions. His journey starting with a career in sales, then shifting to stand-up comedy before finally transitioning into his passion for public speaking (2:20). Our similar background in performance arts, and things that we didn’t enjoy as much in that field (5:50). 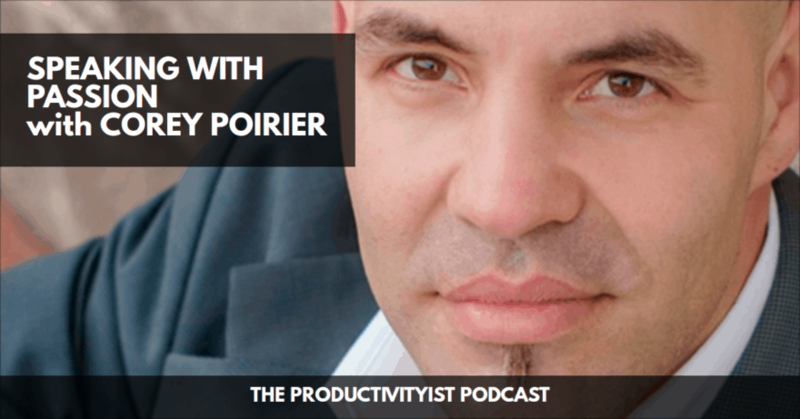 How people’s feedback propelled him into diving into passion as a speaker (10:43). What people fear when it comes to communicating and public speaking, and how to get comfortable on stage (15:48). The importance of tackling tasks and goals in small chunks that are easily achievable – whether in public speaking or productivity – until you’re ready to take on the big one (19:49). How having a buddy to practice whatever it is that you’re passionate about or want to conquer gives you higher chances of success (20:40). The structure of The Speaking Program (21:55). Questions to ask oneself to help find your true passion, and how to take that first ‘baby step’ towards living that passion. (13:25; 25:31). A productivity reminder to ensure that pursuing your passion is not interrupted – and becomes successful (28:03). Thanks for tuning in! Until next time, remember to stop guessing…and start going.